This Irish ring features the Trinity and Heart symbols intertwined and accented with cubic zirconia stones. The center stone "dances' with movement. 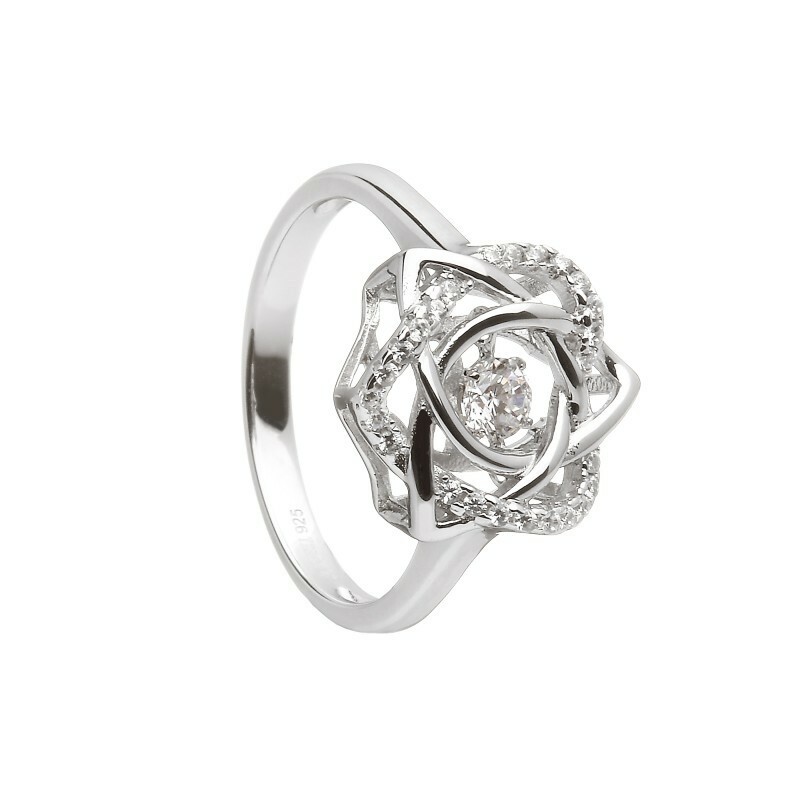 This Irish ring comes attractively gift boxed. Part of Boru's Damhsa (Dance) Dancing Stone Collection of Fine Jewelry, This stunning piece's centre stone literally 'Dances' with Movement. The Triquetra predates Christianity and was the Celtic symbol of the Goddess Odin. The symbol decorates our illuminated manuscripts such as The Book of Kells and is found on Celtic crosses and Celtic stones all around the country. The Trinity Knot has been adopted from ancient Celtic art by Christianity as a symbol of the Holy Trinity; Father, Son & Holy Spirit. To the Celts it is believed to have meant many things; mind, body, spirit; earth, sea and sky and beginning, middle and end - continuity. The Trinity Knot is the most well known and loved of all Celtic knots and in modern times has been given as a token of promise; to love, to honour and to protect.